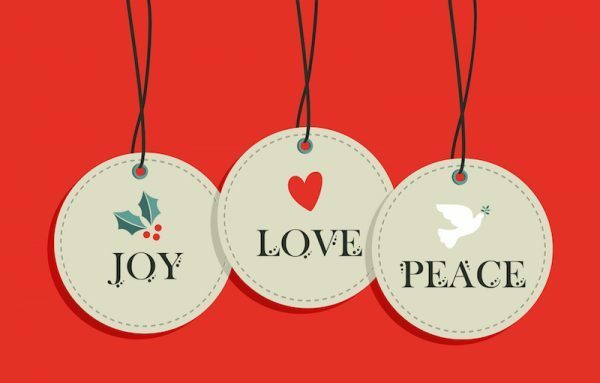 How to Thoroughly Enjoy the Holidays (Really!) - Andria Corso & Co.Andria Corso & Co. Suddenly, just like that, the holidays are upon us. When I started hearing the holiday music in early November, I shuddered. No, not yet. Please, I am not ready. I felt the anxiety of “having so much to do” and time closing in on me. But, wait, it was only early November. There was plenty of time! I love the holidays and each year want to enjoy them, cherish the moments with friends and family, and create memories. However, I find I’m often rushing through them, hurrying to get things done because it’s a small window of time within which we try to cram a lot, don’t we? I decided to change things up this year and approach holiday time with a new perspective; one that included slowing down, savoring, and enjoying rather than rushing and trying to cram in everything. In order to do this, I needed to make some conscious decisions about how I was spending my time. If you feel like slowing down and savoring this last month of the year, perhaps some of these things I decided to do will help you too. First, I decided what I wanted my holidays to feel like. I eluded to it above: I want them to feel savory, cherished, and relaxed. I didn’t come up with those feelings immediately. They came from the fact that I knew I didn’t want December to feel hurried, frantic, or chaotic. We can often determine what we want by first realizing what we do not want. So, what do you want your holidays to feel like? If it isn’t coming to you, start with what you know you don’t want to feel like this holiday season. Next, I decided what I wanted to experience this holiday season. What could I do to have savory, cherished, and relaxed holidays? Some things were immediately evident: more TIME with the holiday experience, which for me translated to decorating our house for Christmas right after Thanksgiving. (We usually wait until about two weeks before Christmas and then I feel like I’m rushing to decorate, only to be un-decorating a few weeks later!) Something else I knew I wanted to experience? Quality time with my husband and with my close family members, which translates into cozy evenings by the fire watching holiday movies; plus, I have a few close friends who I’ve wanted to do holiday activities with the past few years but never had enough time. By thinking this through ahead of time, I am able to create space to do the things that are most important to me during a very busy time of year. You get the idea. So, what about you? What type of experiences do you want to create this holiday season? What can you do to make time for them now? Yep, I’ve been there many times. Saying yes to the things we really want to say no to (especially during a busy time of year) drains us of our energy and steals our joy from the things we really want to do. My “give up” list simply became anything that doesn’t feel like a resounding “yes, I want to do that” in my body (or, give up anything that results in “sinking gut/dread” feeling). The trick to this is to not let your mind get in the way of what your body feels. When I receive the invitation that immediately feels like “yuck, no”, I honor that without question. The body always knows what we desire – it never lies. Our minds can talk us in or out of anything. Let your body be your guide. And guess what? Some of those holiday luncheons and those homemade cookies that were on my original “give up” list? I’m NOT giving them up this year because I love doing them. I am creating time and space for those things I love because of the (other) things I am giving up. Christmas and New Years are still a month away and I’ve already enjoyed a leisurely day of decorating our house with my husband and I have also already scheduled some of those holiday activities with friends. So, what about you…? What are you giving up so you can thoroughly enjoy the upcoming holidays? Here’s to a savory and cherished December for all of us this year! This blog was originally featured on HuffPost on November 28, 2017. This entry was posted in Blog and tagged Andria Corso, Expectations, holiday joy, Holiday season, Holidays, Inspiration, Stress reduction. Bookmark the permalink.